The juice that we extract from carrot has numerous live enzymes. So a small intake of this juice will make sure that you are never left behind on the likes of biotin, manganese, potassium, Vitamin K, B6, C, E,etc. Carrot juice is a wise and healthy choice which never disappoints because not only is it filled with micronutrients and energy but also enhances our digestive process. The juice is readily absorbed by our digestive tract (and consequently the blood stream as well) and the body no longer has to perform the chore of unleashing vitamins and minerals from the juice. This is advantageous to people suffering at the hands of irritable bowel syndrome or the IBS. This is how some carrot juice makes our stomach, intestine, liver and their kith and kin happy. Being rich in beta-carotene (like pumpkins and watermelons), carrot juice essentially improves human vision. How so? Well, this beta-carotene becomes Vitamin A on reaching our liver. And Vitamin A turns to rhodopsin in the retina. Lack of this vitamin in our body leads to night blindness. Lutein and zeaxanthin (also present in the juice) reduce the risk of age-related vision loss. Also, beta-carotene resists macular degeneration and senile cataracts. 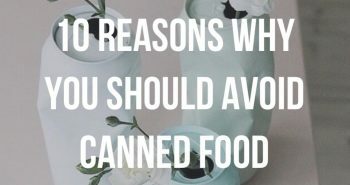 Get ready to bid goodbye to your box of vitamin A pills now! Carrot juice effectively combats lung cancer, bladder cancer, prostate cancer, breast cancer and colon cancer, thanks to falcarinol. Following digestion, the waste particles that are left in our body are termed as free radicals. 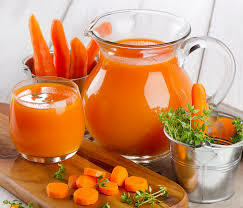 As carrot juice is an enemy to these free radicals, the growth of cancerous cells is somewhat prohibited. Carrot juice also boasts of phytonutrients and polyacetylenes, and they scare cancer away by stopping DNA damage and cell mutation. Beta-carotene, as an antioxidant, slows down cell aging. The cartenoids fight free radicals in our body and vitamin C rejuvenates old cells and also makes sure that the body produces new ones! The collagen content of the skin shoots up and so does the elasticity. It is collagen which keeps the skin firm and healthy. Moreover, carrot juice can increase the growth of hair and supplement the strength of our nails. Vitamin A reverses the effects of sun on our skin. It does away with premature wrinkling, acne, pigmentation, blemishes and uneven skin tone. Not only this, carrot juice maintains moisturized skin. Besides, scarcity of vitamin A often causes dryness to the skin, hair and nails. Additionally, potassium and antioxidants go a long way in keeping our skin young and healthy and vibrant always! Carrot juice ought to be used on wounds as well! Inflammation and bloating are minimized by gulping down a glass of carrot juice. Carrot juice, if applied to face externally, can work wonders for our skin. It also keeps our gums healthy by keeping cavities and tooth decay away. Carrot juice makes your life span longer. Yes, you heard it right! Beta-carotene, alpha-carotene along with lutein reduce risk of heart diseases or cardiovascular diseases. On top of it, carrot juice helps minimize cholesterol levels too because it contains high amounts of potassium and lower levels of calories and sugar. It cleanses plague from arteries and keeps up blood circulation by relaxing tension in our blood veins and arteries. Not only this, if you’re a carrot juice fan, you might be at a lesser risk of diabetes. In just one cup of this magical potion, you’ll be taking in 20% of your daily potassium amount. Without potassium, the brain wouldn’t function properly and hence, there remains a greater chance of strokes. A longer life of better health – the irresistible combination you can’t say ‘no’ to! Vitamin A cuts off bile and fat from liver, thereby inducing weight loss and fighting obesity. Thus, both our liver and our filtration systems stay healthy and fit. The juice removes toxins, waste (from the digestive tract), indigestible materials from tissues, muscle fibers, bloodstream, joints and internal organs. It also ensures that we are not attacked by gout, jaundice, edema among others. Carrot juice purges our body of bacteria, viruses and inflammation. If you seem to be in the habit of catching a cold or a flu more often than not, then you must start having carrot juice everyday. It makes infections vanish from the mouth, throat, stomach, intestine, colon, etc. and hinders the likes of measles, sores, ulcers, mumps and so on and so forth. Rich in vitamin C, B6 and K and minerals such as potassium, phosphorous, etc., carrot juice aids in bettering bone health, making the nervous system stronger and improving brain power. Vitamin K assists in the process of clotting of blood, in case of minor and major accidents and cuts. Incidentally, carrot juice may help to defend our bodies against Alzheimer’s disease. We tend to lose a significant amount of potassium through our sweat . That’s when the cramping usually sets in . So , you might want to grab a glass of carrot juice post your gym session or yoga class or dance routine or swimming adventure. To show you’re convinced enough, make it a habit to have carrot juice everyday (yes, starting from today) and don’t restrict yourself to buying carrots only for your pet bunny the next time to go shopping ! Another great thing about carrots is their versatility . I mean, you can cook it (if you got the time) or not. You can put it in your salad and your soup, your noodle and your Manchurian . However, there is simply no competing with a glass of pure and fresh carrot juice. 1. Carrots succeed potatoes in the list of ‘most popular type of vegetables’ ! 2. The name ‘carrot’ has its roots in the Greek work ‘karoton’. Yes that’s where the ‘carrots’ come from! 3. The largest carrot , till date , was of 19 feet!